Our credentialing process for our caregivers requires multiple background checks, drug testing, reference checks, and interviews. We hire only qualified caregivers and certified nursing assistants (CNA’s) as recognized by the Texas Department of Aging and Disability Services. They are required to attend continuing education programs to keep their skill levels current. As we have been providing staffing services in the Houston area for many years, we have earned a reputation for excellence and dependability. Our caregivers will have the full support of the Advanced Health Education Center, LTD faculty and staff as well as the staffing coordinators, recruiters, and care planners at MEDRelief Staffing. MEDRelief has earned the Joint Commission Seal of approval for the staffing unit which serves as the standard for excellence. 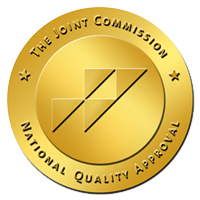 The Joint Commission awarded the Certificate of Distinction to MEDRelief Staffing in 2006. The most recent accreditation inspection was in March, 2014. MEDRelief Staffing was fully accredited with no recommendations for improvement.